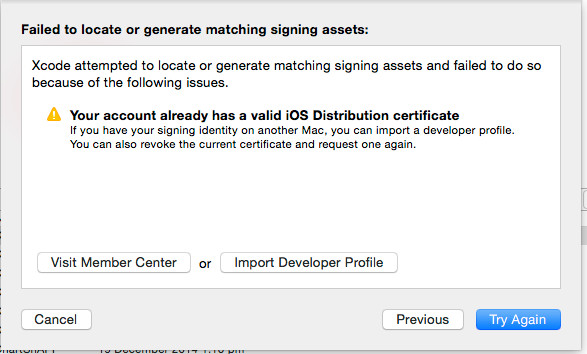 “Your Account already has a valid iOS Distribution Certificate” issue. admin January 23, 2015 March 23, 2017 10 Comments on “Your Account already has a valid iOS Distribution Certificate” issue. Hi, The issue is faced on XCode6 and above, Yosemite above.When one tries to use one developer account in two macs. Lets get historical . In xcode 5 and below the standard way of making adhoc distribution build on two mac was.